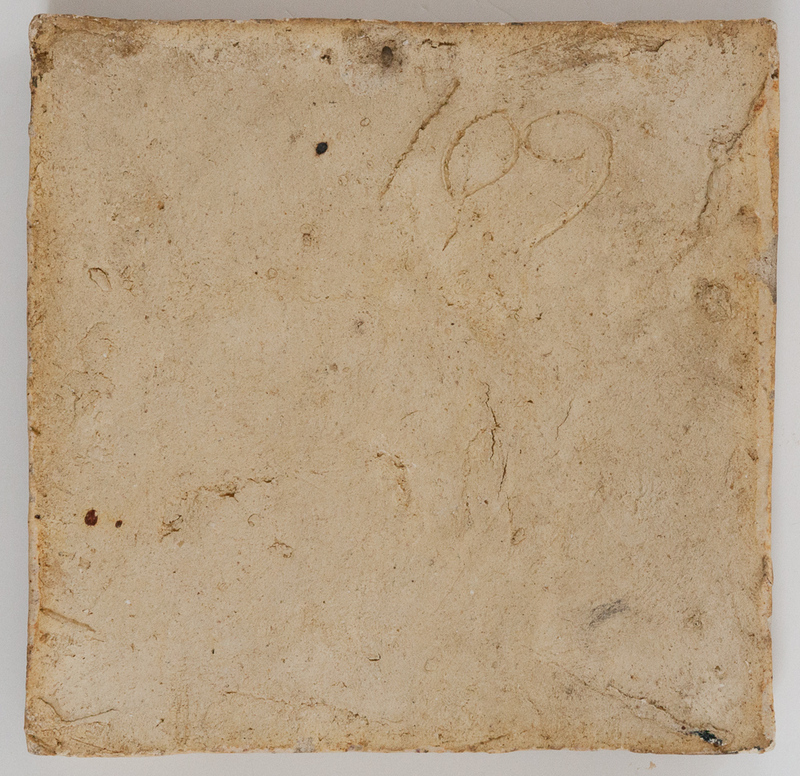 The tile company that produced this tile is a mystery. Volga Tile Studios is listed in the Los Angeles City directory for 1926 but doesn't appear there prior to or after 1926. It was owned by Nina de Volgenski who is also quite elusive and left no tracks to follow. There are a few known tiles that Volga produced. All of them are white clay cuenca tiles, often with Russian motifs. I find them quite beautiful and am actively researching the history of the studio. If you know anything about it - or have any Volga tiles - please contact me! 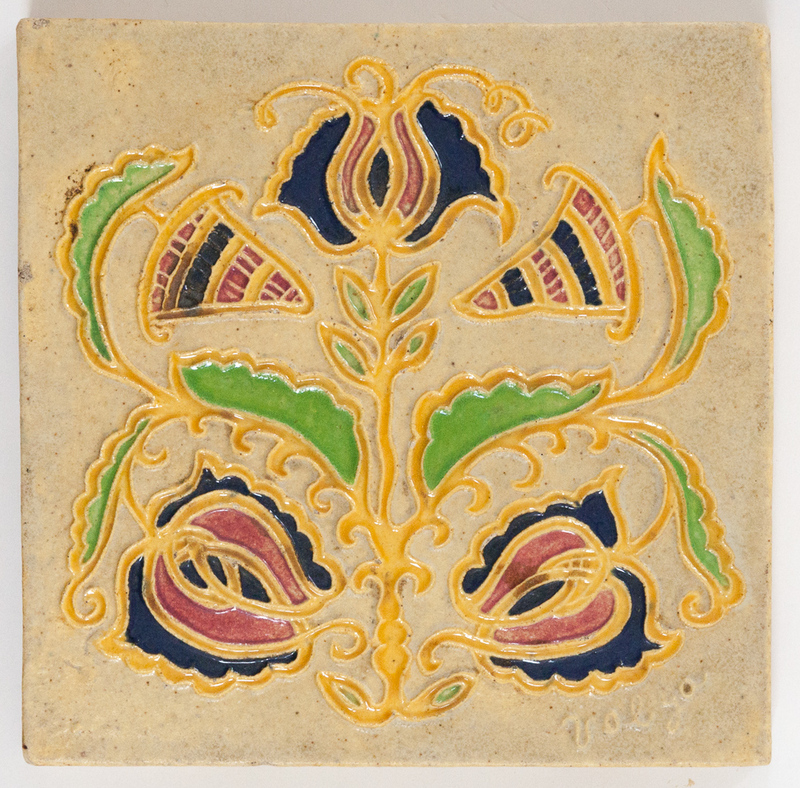 This particular tile has Art Nouveau geometric design in wonderful colors separated by raised lines (cuenca). It is marked "Volga" on the front and has an inscription "109" on the back. 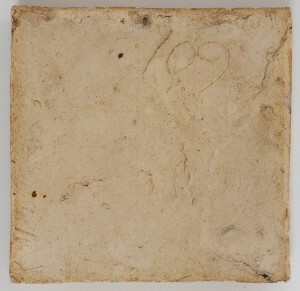 Dimensions: 5 1/2" x 5 3/4"